Bronchial tubes, which are an important part of the respiratory system, perform an important function of exchanging air to and from the lungs. However, sometimes due to various triggers, these bronchial tubes can get inflamed causing a mucus build-up. The symptoms like coughing and dyspnea that are triggered due to the inflammation of the bronchial tubes are known as bronchitis. Acute bronchitis is normally triggered because of a viral infection that impacts the lungs. Several viruses can be responsible for the infection. About 5% of adults are seen suffering from symptoms of acute bronchitis every year, and it is one of the leading causes for hospital visits among adults. In the case of bronchitis, the tubes that carry the air to the lungs get irritated which causes its impact. Bronchitis is of two types, and before starting treatment it is important to know the right type of bronchitis that is affecting the patient. Bronchitis is of mainly two types, namely acute bronchitis and chronic bronchitis. Acute bronchitis normally occurs very fast and gets better also fast, in a span of about two to three weeks. Chronic bronchitis, on the other hand, is recurring in nature and in a number of cases can last for a long period of time particularly in the case of smokers. Chronic bronchitis is often indicated by the presence of a cough along with mucus secretions lasting for most days of the month. This happens for about three months and recurs for about two years consecutively. Most people suffering from acute bronchitis tend to recover without any major problems. However, bronchitis tends to be more severe in the case of senior citizens and small children. In people who are suffering from other ailments, particularly conditions like COPD or asthma, the infection can lead to a worse form of acute bronchitis. The kind of complications that can develop due to acute bronchitis include pneumonia or severe bronchitis. Whether a bronchitis infection could turn fatal or remain as just another infection depends upon several factors like the type of bronchitis infection, overall health condition of the person affected by the infection, severity with which the infection strikes, and of course the age of the patient. Bronchitis could become a life-threatening condition when it affects small children and in the case of elderly patients. Both of these age groups have weakened immune systems, which causes the viruses to get the better of the patient causing worsening of symptoms. Again, the type of bronchitis largely determines how severe the bronchitis infection can become. An acute infection is usually triggered by a viral infection that is in most cases treatable. However, chronic bronchitis could have more severe symptoms that could cause signs like breathlessness which could worsen in no time for a patient. Chronic bronchitis also results in an irreparable damage to the lungs which could cause serious complications including permanent lung failure or pneumonia which could both result in death. What could trigger acute bronchitis? Acute bronchitis is normally triggered by a viral infection. A person usually contracts acute bronchitis a few days after suffering from an infection that particularly impacts the upper respiratory tract. These infections include a cold or flu. In some cases, acute bronchitis could also be triggered by a bacterial infection. Acute bronchitis also results due to breathing allergens or pollutants that could trigger an irritation in the bronchial tubes like smoke or dust. It can also be triggered when a person accidentally takes the food in the respiratory tract instead of the food pipe. Vomiting into the lungs can also trigger acute bronchitis. How can you identify acute bronchitis in a person? Symptoms of acute bronchitis are not very specific and hence can often overlap with other conditions. The most common sign of acute bronchitis is normally a dry cough with a hacking sound. This cough eventually progresses to a wet cough with mucus secretions. Due to the underlying infection that triggers acute bronchitis, one may also have a low-grade fever with fatigue and tiredness. 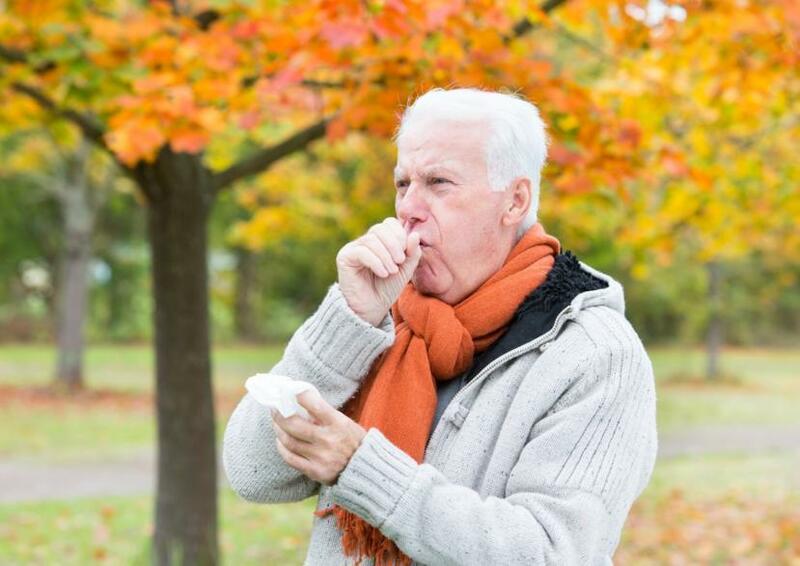 In most cases of acute bronchitis, a patient recovers in a time span of about two to three weeks, however, it is quite normal for acute bronchitis to last for about four weeks or more in some people. In case you find the symptoms worsening along with high-grade temperature, shivering, pain in the shoulders or chest, or dyspnea, then it could be a sign of pneumonia which is in most cases a critical condition that requires immediate medical attention. Hence, if you feel you are getting sicker, then it is best not to delay your doctor visit for a timely prognosis. How can acute bronchitis be diagnosed? Acute bronchitis is often diagnosed by a doctor upon reviewing the symptoms felt by the patient along with a physical examination. This is largely indicative of the condition a person is suffering with and can help the doctor start off on the treatment course for acute bronchitis. 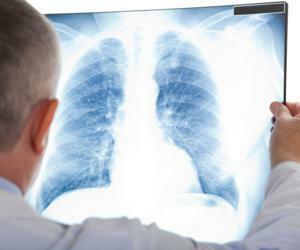 In a few cases if the doctor finds it necessary, then an X-ray of the chest along with a few other tests may be used to rule out pneumonia, whooping cough or other conditions of the lungs. This becomes critical when one is suffering from bronchitis for a week or more without any significant improvement. More diagnostic tests may be required for infants, senior adults and persons who have already been suffering from lung diseases like asthma or COPD. What is the normal course of treatment? Largely, the symptoms of acute bronchitis are treatable at home without many antibiotics or other prescription drugs. This is mainly because most cases of acute bronchitis are triggered by a viral infection and antibiotics are not recommended for viral infections. However, the doctor may recommend antibiotics if he or she suspects any form of bacterial infection to be the cause of the bronchial infection. If you are a smoker, then you will need to quit the habit immediately as smoking could worsen acute bronchitis causing progression of the disease. Lozenges, cough drops and candies could bring about some relief in soothing a sore or dry throat. Though it doesn't improve your condition, to a large extent the dryness can be resolved. Breathing moist air from a humidifier could prevent the mucus from thickening and makes it easier to get out of your body. Steam and a hot shower can also help in thinning the mucus, making it easier for the body to excrete it. Nonprescription medicines like aspirin and ibuprofen are often helpful in relieving symptoms like fever or body pain. These should, however, be consumed upon discretion after considering the age and overall health condition of the patient. Taking a lot of rest and staying indoors not only helps in faster recovery but also prevents others from catching the infection from you. Drinking a lot of warm or hot fluids can prevent dehydration and it also helps in thinning down the mucus secretions. Cough expectorants and suppressants are usually available as over the counter drugs and are helpful in treating symptoms of an acute cough. However, these medicines should only be consumed after consulting with the treating doctor. If you are suffering from other medical conditions like bronchitis, heart disease, lung disease or any other serious health concern, then it is important to discuss them with your doctor immediately to prevent any complications like pneumonia. If you have signs of bronchitis and have heart or lung disease (such as heart failure, asthma, or COPD) or another serious health problem, talk to your doctor right away. You may need treatment with antibiotics or medicines to help with your breathing. Early treatment may prevent complications such as pneumonia or repeated episodes of acute bronchitis. What are the medicines recommended for the treatment of acute bronchitis? The below mentioned medicines are primarily prescribed for the treatment of acute bronchitis. However, all of the below mentioned medications should only be consumed after consultation with your doctor as they could have potential side effects that affect your health. Cough suppressants: Cough syrups like Robitussin and Delsym are often used when the patient is coughing a lot due to the infection. These medicines should not be consumed as and when one wishes because coughing is ideally a natural reflex of the body to remove the irritants from the lungs and the airways and to get rid of the infection naturally. Excessive use of cough suppressants could put one at risk of the irritants continuing to stay in the body and sometimes moving into the lungs, which is not really helpful. In case you are having sleeping difficulty at night due to the cough, then ideally you should be having the recommended dose of cough suppressants. Mucolytics: There are medications which are nothing but mucus dilators that help in thinning the sticky mucus and pushing it out of the airways. These medications dilute the mucus to an extent after which it becomes easier for the body to expel the mucus out naturally. Acetaminophen and NSAIDs: Bronchitis is a condition that becomes stressful when the airways become inflamed due to the infection. In case the doctor feels that the inflammation of the airways is causing distress to the patient, then he or she may recommend certain non-steroidal anti-inflammatory drugs (NSAIDs) or acetaminophen that act upon the inflammation and control it to such an extent that the patient is relieved of the discomfort. Bronchodilators: Available in the form of inhalers, bronchodilators provide instant relief to patients by helping the airways open up as the medicine directly reaches the airways from the mouth. As the airways open up, the breathing process becomes much easier and the patient is more comfortable. Antibiotics: Since most cases of acute bronchitis occur as a result of viral infections, antibiotics may not be prescribed in the course of treatment. However, if the doctor suspects a bacterial infection to be a part of the infection, then antibiotics may be prescribed for treating underlying infections. As per reports, about 65 to 80% of acute bronchitis patients are prescribed antibiotics even if traces of bacteria are not found. Antibiotics are strong forms of medications, and they should not be a part of treating routine acute bronchitis cases. Any of these medications mentioned above should only be administered if the doctor deems fit, considering the case of the patient and the amount of discomfort that the patient is having due to bronchitis. Drugs like NAIDS are very strong compositions for small children and hence may not be recommended unless absolutely necessary. Any over the counter medication should only be given after consultation with the doctor, especially in the case of children. Quit smoking: People who smoke are more likely to suffer from bronchitis and have more chances of bronchitis worsening as compared to those who do not smoke. Ensure personal hygiene by washing your hands often to prevent the spread of viruses and germs. If you are suffering from a cold or flu, avoid stepping out and similarly avoid any contact with people who are suffering from a cold or flu particularly if you are prone to bronchitis. Get your yearly vaccines on time and ask your doctor if you should get any vaccines like the pneumococcal vaccine. While in most cases acute bronchitis is caused by certain viruses, it is best to be aware of the viruses that are prevalent in a specific season and get the appropriate vaccines. 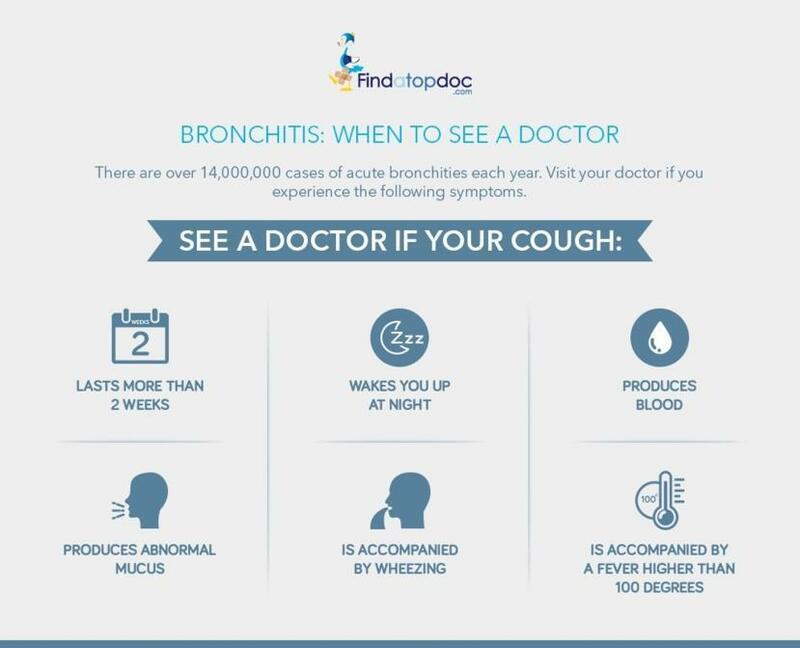 When to see a doctor for acute bronchitis? In most cases, a patient suffering from acute bronchitis should be able to cope with the disease without seeing a doctor by practicing certain home remedies and taking adequate rest. The disease normally lasts from about 10 to 20 days post which the infection resolves on its own. However, in the case of children, it is not advisable to wait it out as they are unable to rest with the discomfort. The doctor may be able to help out with immediate medications that can help the child rest better so that the body’s immune system can fight off the infection. In case the symptoms of the infection worsen or if the fever is too high, then seeing a doctor should not be delayed. Apart from this, if there are other symptoms like breathing difficulties or sweating in the night, or if the symptoms continue to persist even after 20 days, then it requires seeing a doctor on an urgent basis. Children under the age of two years old require immediate medical attention to avoid any complications and should be taken to a pediatrician who can suggest the best possible treatment for the infant. Although, acute bronchitis rarely gets complicated, there is always risk of complications like pneumonia, development of chronic bronchitis, asthma and even whooping cough. If the illness is causing so much discomfort that the person is unable to even sleep at night, then you should visit the doctor for some immediate relief medicines. Are There any Risk Factors for Bronchitis? How long does it take for bronchitis to go away? An inflammation of the bronchial tubes results into a respiratory disease that can worsen into bronchitis. Acute bronchitis comes on very fast and also gets better quite fast, normally in a span of about two to three weeks. Most cases of acute bronchitis are triggered by a viral infection and antibiotics are not recommended for viral infections.